As far as I'm aware there has been no threads about this topic, so LETS DO THIS! Remember Bounce..? 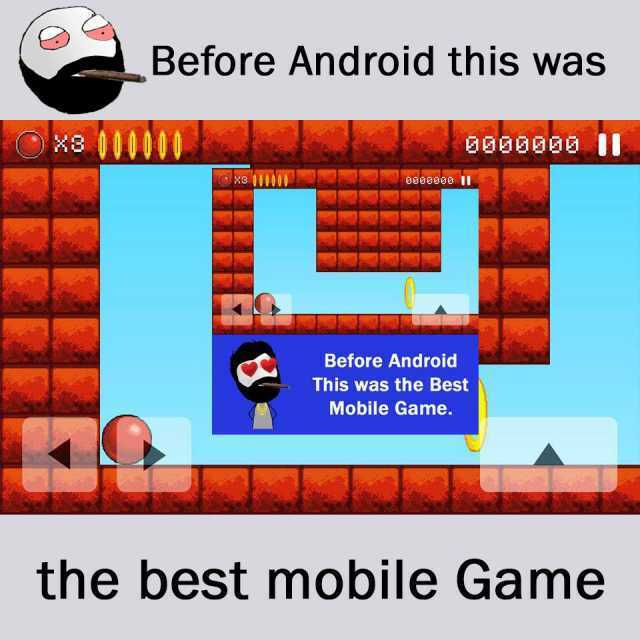 one of the best mobile games when we had no Android and iOS..! Anybody here got any thoughts on mobile games? I have mobile games on my android phone and I have Retroarch. The rest are boring adult apps. WHOA! Bounce! Brings me back on the Nokia days! Yeah,mobile games are very adictive, but to many pay to win games all over place there. -Players feel cheated(and they are) ,but all complains are ignored and you only have 2 choices, keep buying or quit and loose every money you already invested. Developers and game companies cheat paying and free to play players all the time, and there is no law to protect them , it is complete despotisam to averige gamer out there, we have no rights to game assets we legaly pay. Is it time to organize and create gamers Union ? We will strike (not paying anything in games until we get some rights) ! I'm not really into mobile gaming, but I do dabble with a few titles every now and then. I'm not keen on playing games on my phone, so tend to play mobile games on my tablet. I've just started the F2P Shin Megami Tensei Dx2 game, but I'm barely through the tutorials... so, not sure if I'll stick with it. And now I've got a capable tablet I may try out the Fire Emblem mobile game.